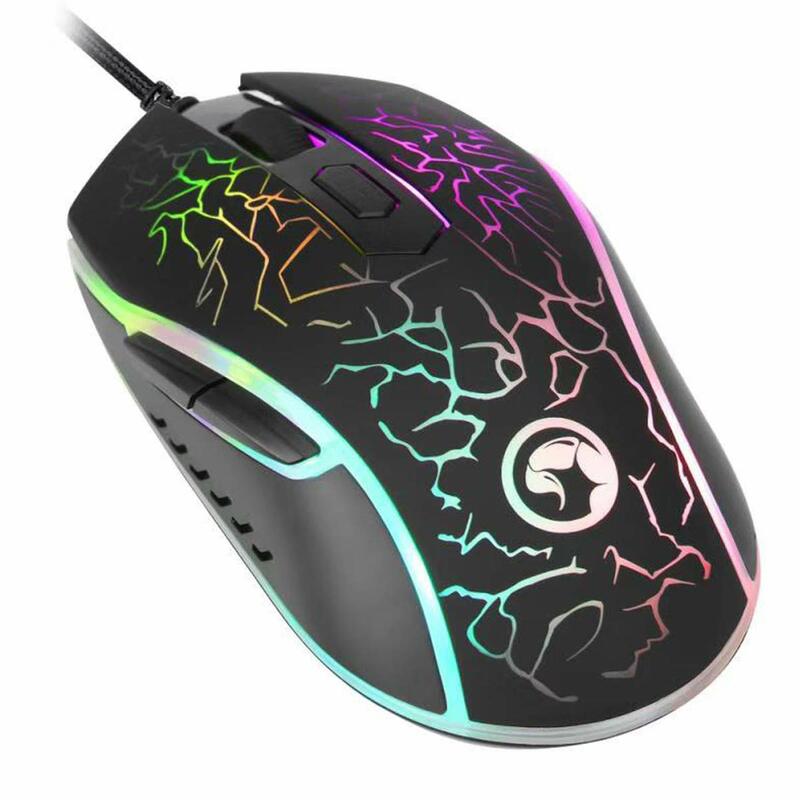 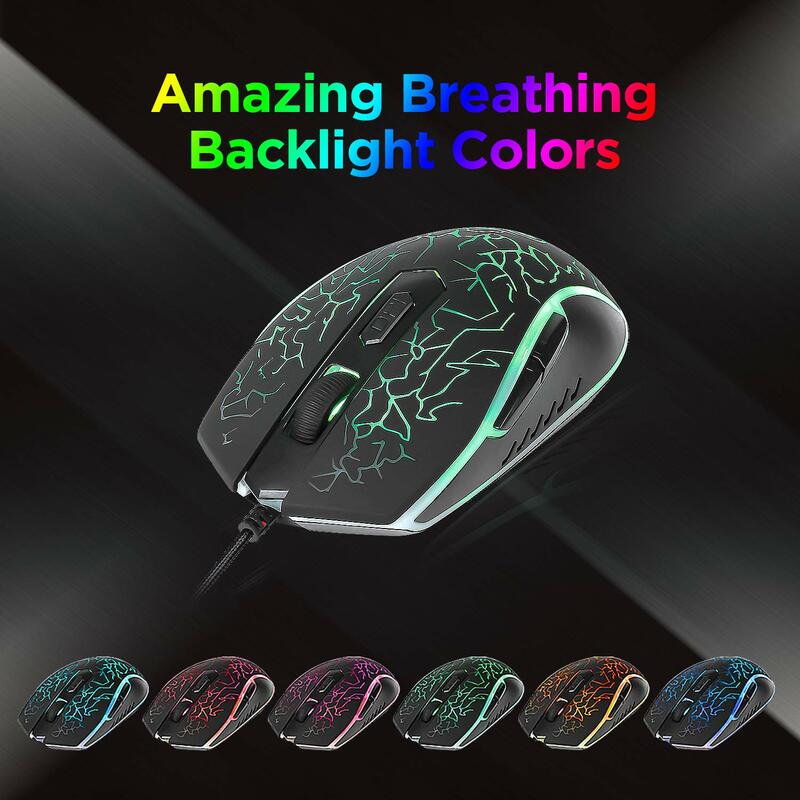 Gaming Mouse: Wired gaming mouse, 7 colors backlight with breathing effect, Unique backlit tribal design is perfectly for any working/gaming place especially at night time. 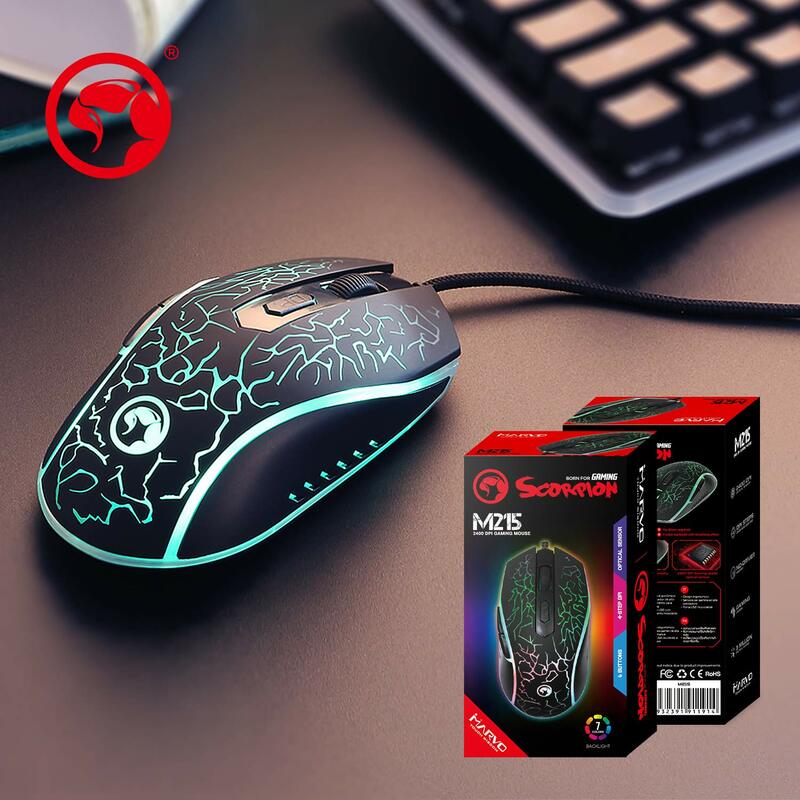 Ergonomic Design Mouse: Comfortable and stable grip mice, reduce fatigue from long time playing; Right handed ergonomic mouse shape, comfortable to operate. 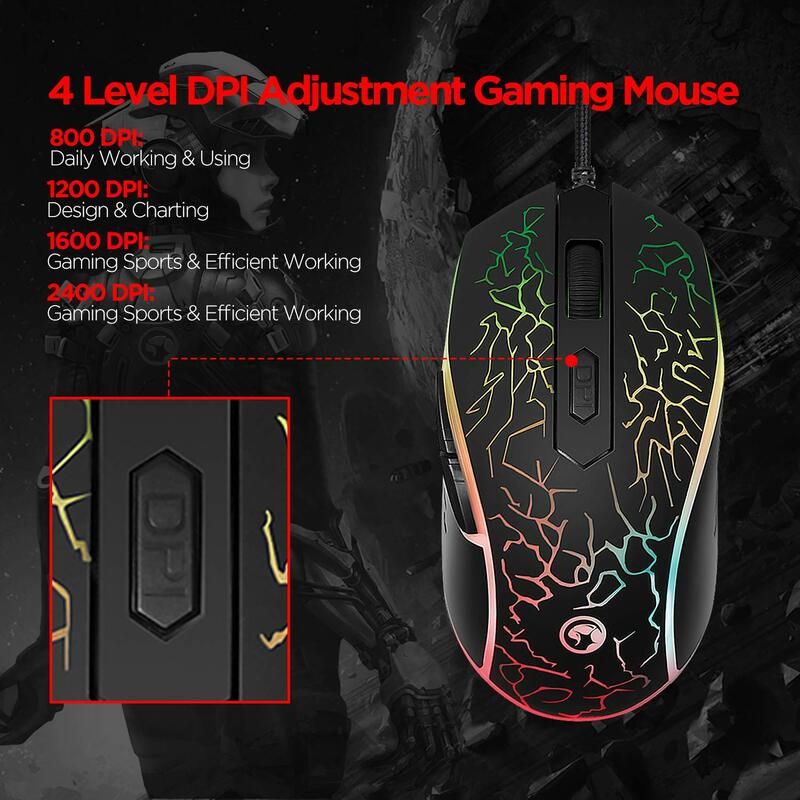 No-driver needed. 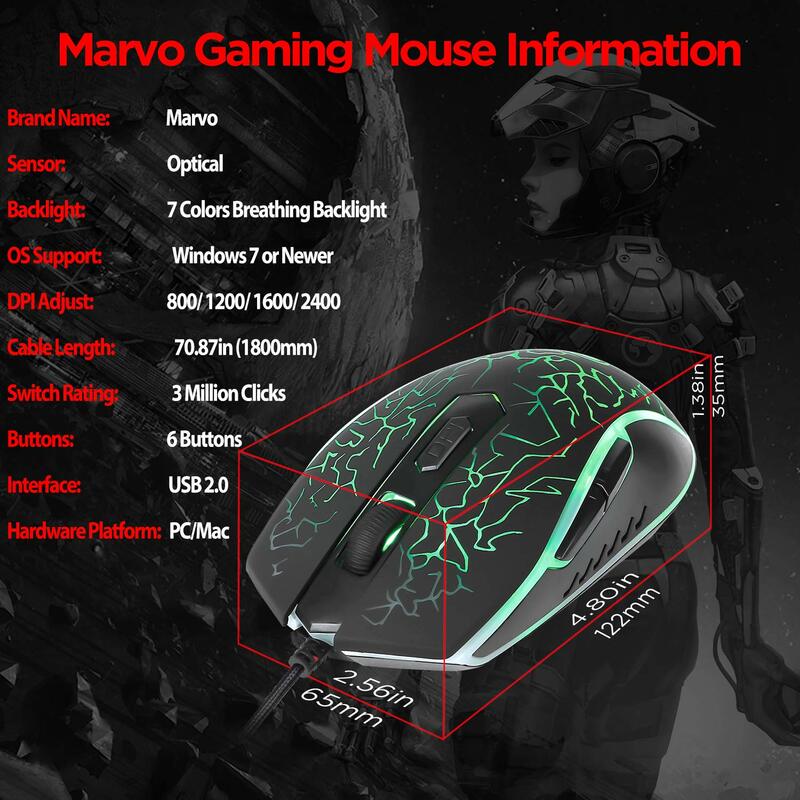 Simple to Use the Computer Gaming Mouse-just "plug and play". 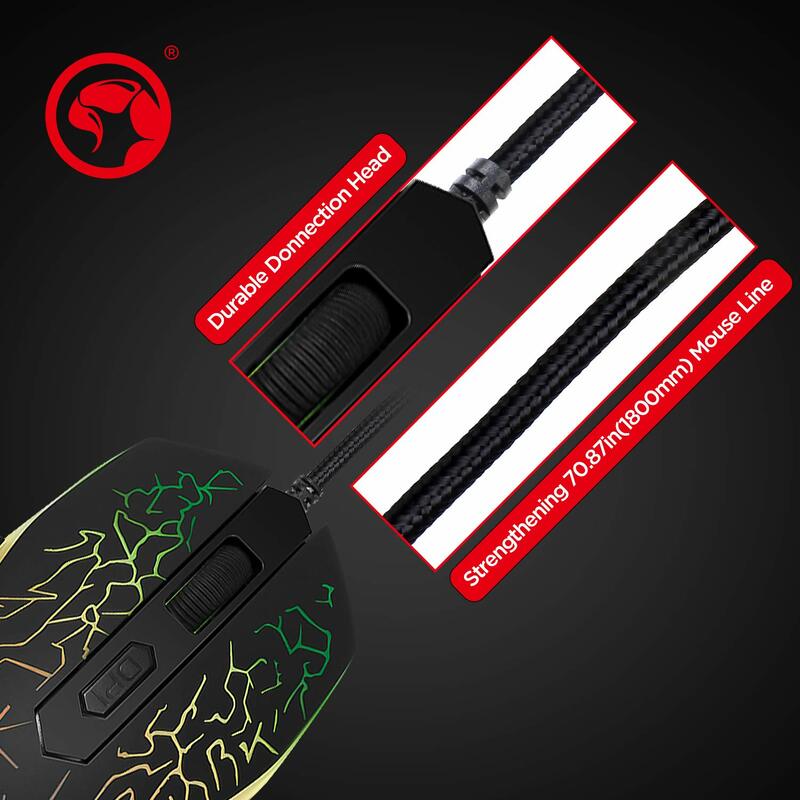 No additional software or firmware required; Fit for Windows 7 or newer. 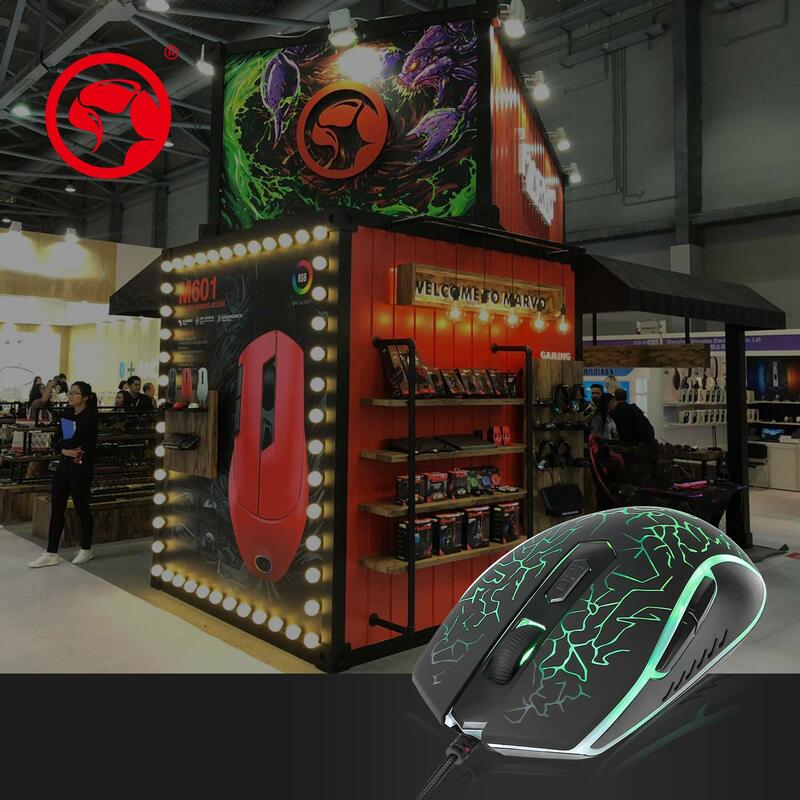 Warranty of Gaming Mice: We offer 12 months manufacturer warranty, so please kindly contact us if you have any quality issue, it is free to resend new one to you.